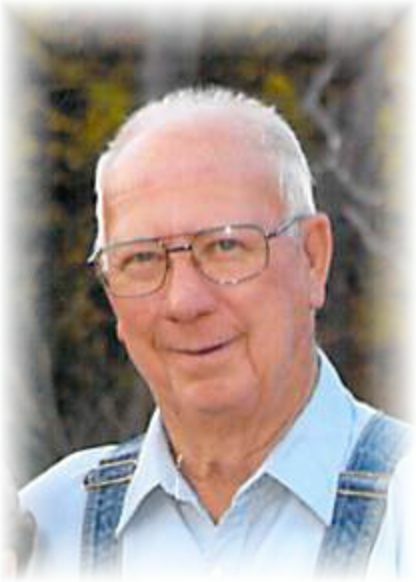 Bob Douglas Mays of Boles, Arkansas went to be with his Lord and Savior, Monday, March 18, 2019 in Waldron, Arkansas surrounded by his loving family. Bob was born July 6, 1930 in Oden, Arkansas to Thomas and Mary Mays. He was 88 years old. Bob married his sweetheart, Needa House, on January 21, 1949 in Mt Ida, AR. Bob & Needa were together for about a year prior to getting married. Growing up In a small community like Chant Lane, of course there wasn’t an over abundance of recreation. Bob & Needa spent a lot of their time together going to Boles to watch the movies played at the small theater there. After getting married, they lived at Mill Creek and Bob worked in the woods with Needa’s father, Claud House (Grandad). Bob & Needa had two sons, Bobby Ray & Ronnie Douglas. In the early 50s Bob & Needa moved to Littlefield, TX where they lived for about 8-9 years. Bob worked in the cotton gin, worked as a mechanic and later joined the police force. Needa worked as a waitress and a grocery clerk. In 1958 Bob & Needa had a daughter, Sharon Faye, who went on to be with the Lord. In the early 1960s they moved to Portales, New Mexico where Bob worked as a mechanic for the Highway Department. In 1965 they adopted a daughter, Dyiana Lynn. They moved back to Arkansas in 1969. In the 1970s Bob, Needa & Dyiana spent a lot of their time traveling & evangelizing. They also pastored a church in Crumptown during this time. He worked as a mechanic for a local tractor company and owned & operated his wrecker service. Around 1996 Bob & Needa moved to Bronte, TX where he also worked as a mechanic before moving back to Arkansas in 2000. Bob spent the last seven years at the Waldron Nursing Center where he became a grandpa/father figure to many of the nursing staff/aides. Bob leaves behind to cherish his memory, his devoted wife Needa of the home, one daughter, Dyiana Kane and husband Matt of Waldron, Arkansas and one son, Ronnie Mays and wife Phyllis of Waldron, Arkansas. Grandpa will forever remain in the hearts of his 8 grandchildren: Andrea Taylor, Crystal Mays, Douglas Mays, Thomas Mays, Phylisa Millard, Sarah Catlett, Kerstein Kane Kladis and Hunter Kane as well as 16 great grandchildren and 2 great great grandchildren. Bob will be missed by all that knew him and the many whose lives he impacted including a host of extended family, friends, neighbors and loved ones dear to his heart. Bob is preceded in death by his parents, Thomas and Mary Mays, one son, Bobby Ray Mays, one infant daughter Sharon Faye Mays, one brother and two sisters. Bob's life celebration will be Thursday, March 21, 2019 at 2:00 p.m. at the Boles Freewill Baptist Church in Boles, Arkansas with Rev. Pat Ray Biggs officiating. Interment will follow in the Chant Cemetery in Y-City, Arkansas. Arrangements are being entrusted to the Heritage Memorial Funeral Home in Waldron, Arkansas. Bob's pallbearers will be James Royall, Hunter Kane, Thomas Mays, Douglas Mays, Larry Boren and Gary Lynn House. Honorary pallbearers will be grandchildren and great grandchldren. Bob's visitation will be Wednesday, March 20, 2019 from 5:00 p.m. until 7:00 p.m. at the Heritage Memorial Funeral Home Chapel in Waldron, Arkansas.